Extremely powerful laboratory stirrers for highly viscous applications and intensive mixing of quantities up to 100 l (H₂O). 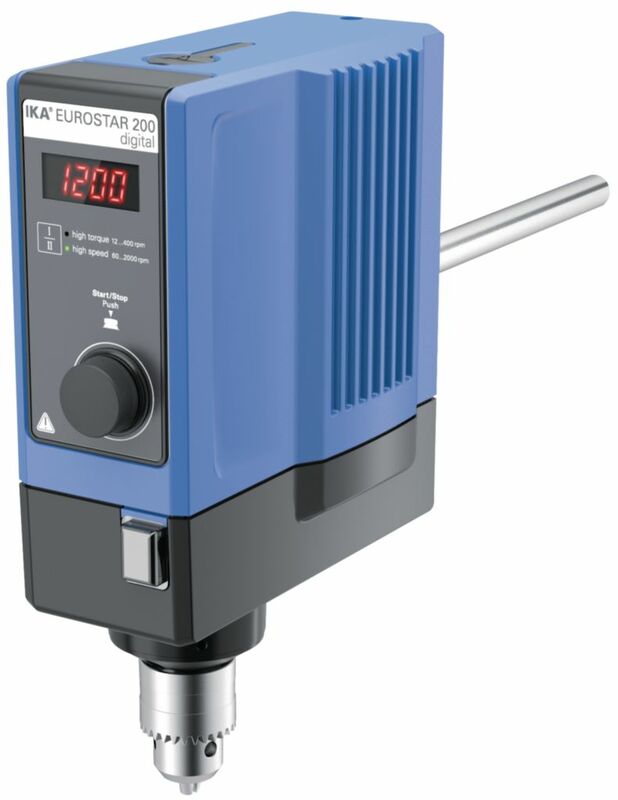 Units automatically adjust the speed through microprocessor controlled technology within the speed range of speed range of 6 - 2000 min-1 or 4 - 530 min-1 (P4 models), all models have two speed ranges. Safety circuits ensure automatic cut off in anti-stall or overload conditions. 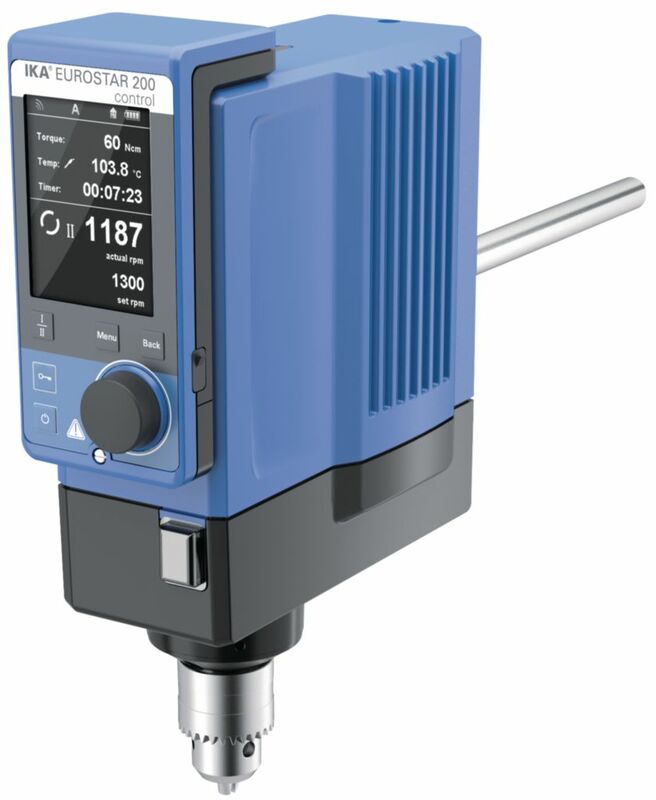 The actual shaft speed and preset speed are constantly monitored and variations are adjusted automatically. This guarantees a constant speed even with changes in sample viscosities. Control models feature a removable wireless controller and a digital TFT display. They are equipped with a RS232 and a USB interface to control and document all parameters. 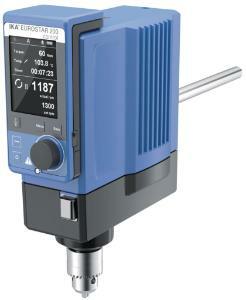 An integrated torque trend display enables measurement of viscosity changes. Informações de encomenda: Supplied without accessories, a wide range of accessories are available to order separately.